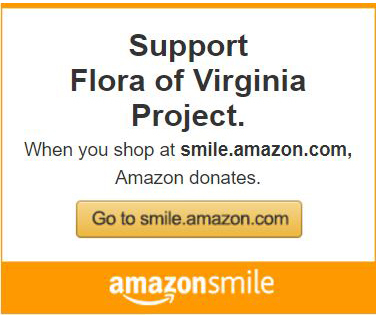 The Flora of Virginia Project has five designated partners that are integral to the success of its mission. The Virginia Department of Conservation is the strongest designated partner of the Flora of Virginia Project. In 2001, its Division of Natural Heritage signed a memorandum of agreement with the Flora Project providing such major support as involvement of its chief biologist and other staff as needed, office space, administrative support, and web space. The Virginia Native Plant Society has propelled the Flora Project forward in many ways. It has provided significant donations at the state level, encouraging its chapters and members to follow suit. The Society has welcomed an article on the Project in each issue of its Bulletin, keeping its members up to date on our work. It is represented on the Flora Project’s board of directors and advisory board, and members frequently give talks on the Flora to chapters, garden clubs, and other organizations across Virginia. The Virginia Academy of Science, founded in 1923, established a flora committee three years later and kept alive the idea of a flora for the state. The Academy was instrumental in publishing the Atlas of the Virginia Flora in 1977 (now the Digital Atlas of the Virginia Flora) and has awarded numerous grants to the Flora Project, focusing especially on illustration of the Flora. In 2005, Virginia Botanical Associates signed a memorandum of agreement authorizing the Flora Project to use VBA maps and range information in conjunction with the Flora of Virginia. Also, in 2008, the Flora Project began adding plant photographs, provided by the volunteers and Natural Heritage staff, to the VBA’s Digital Atlas of the Virginia Flora, enhancing the pages of more than 1,300 species. The Flora Project has worked with VBA to bring the taxonomy into alignment with that of the Flora, and to make this easily related to the data in the Flora for use in the Flora App. In February 2009 Richmond’s Lewis Ginter Botanical Garden and the Flora of Virginia Project signed a memorandum of agreement formalizing support that the garden had been providing for several years. The Flora Project has used the garden’s Herbarium Virginicum, jointly operated by the garden and Virginia Commonwealth University, to store and study specimens used to verify plant measurements for the Flora. The garden also provides meeting space for the Flora Project board and various committees. It is represented on the board of the Flora Project and hosted one of the premieres of the Flora of Virginia in 2012.